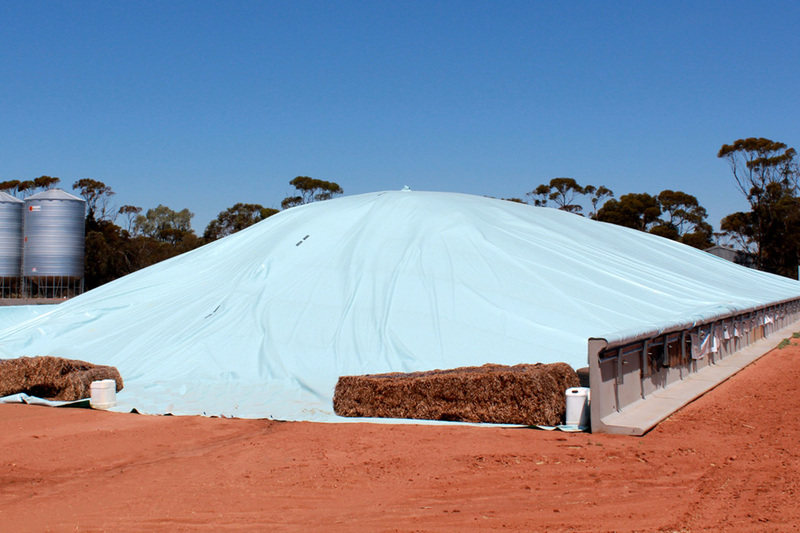 Grain Bunker Covers – Perfect temporary on-farm storage of grain. 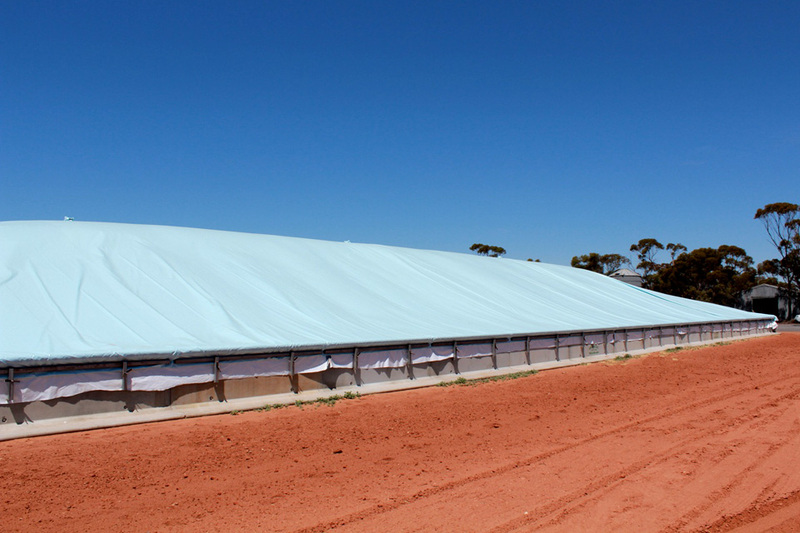 Grain Bunker Covers have become an accepted and popular method in providing temporary on-farm storage of grain. 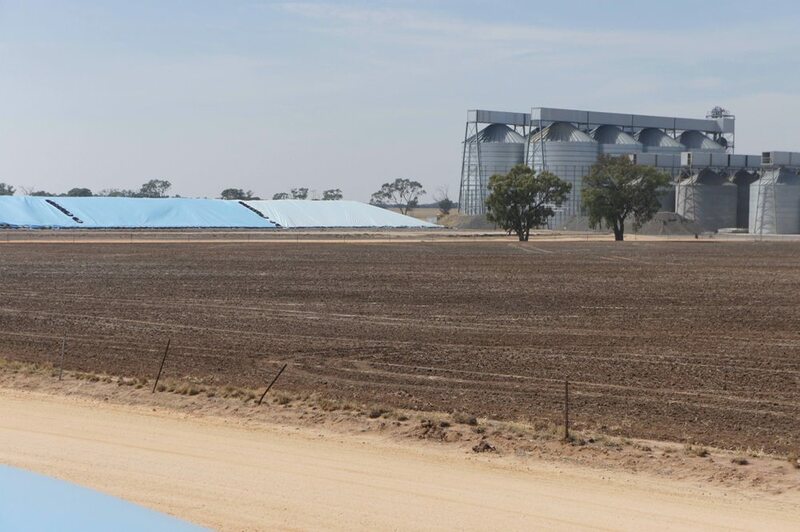 If space is available and storage of grain is necessary to maximise return on investment for your commodity then large grain bunkers are the answer. 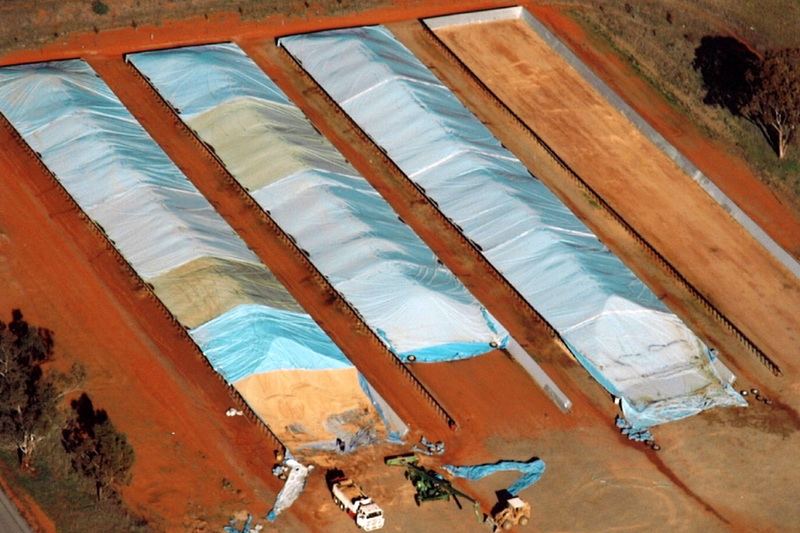 Grain covers are significantly more economical than purchasing multiple field bins or building large sheds and once your bunker site is prepared it can be used year after year. 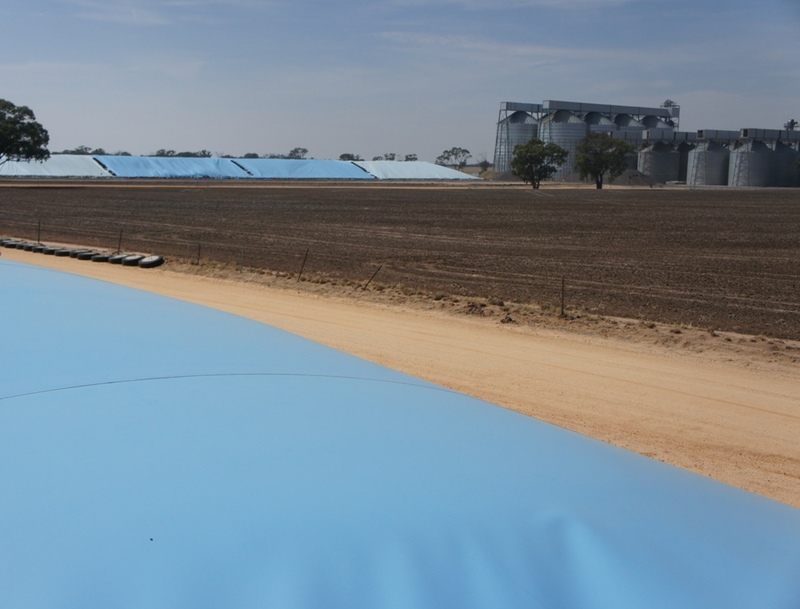 Why choose a Bartlett Grain Cover? 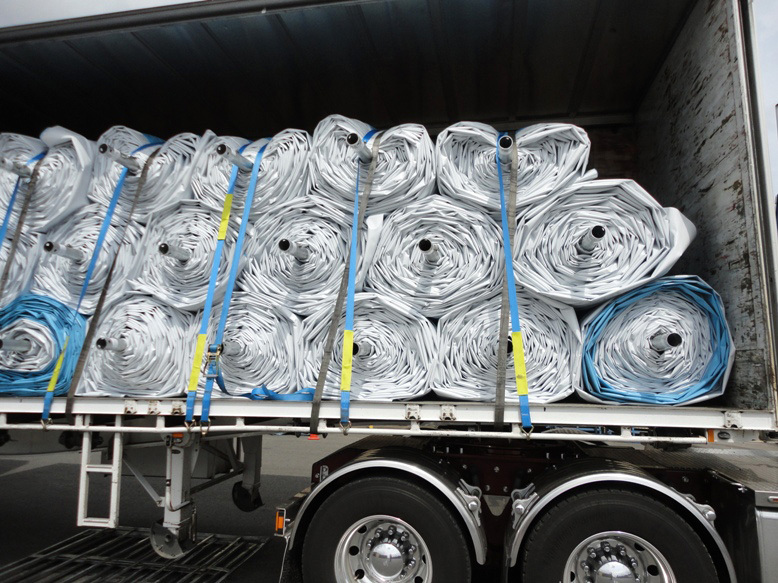 All seams are fully welded and run across the bunker as recommended by the fabric manufacturer. 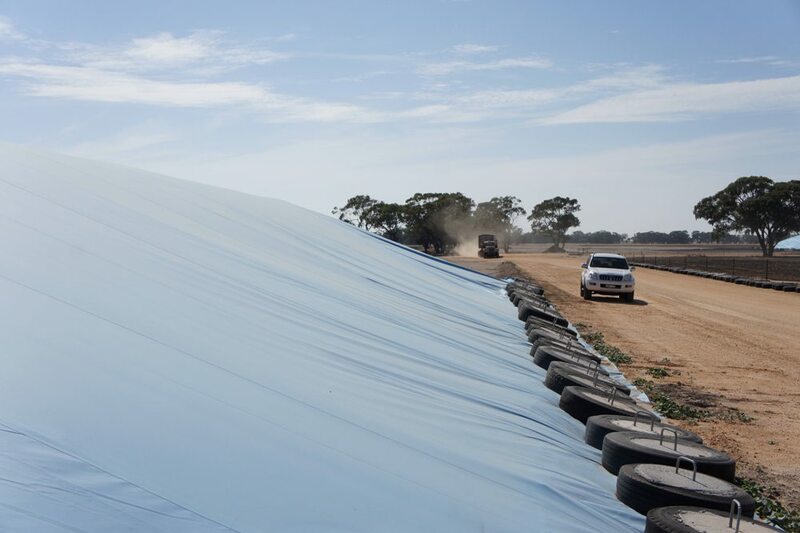 Our fully welded seams increase the strength of the grain cover and also helps with water shedding from the cover. 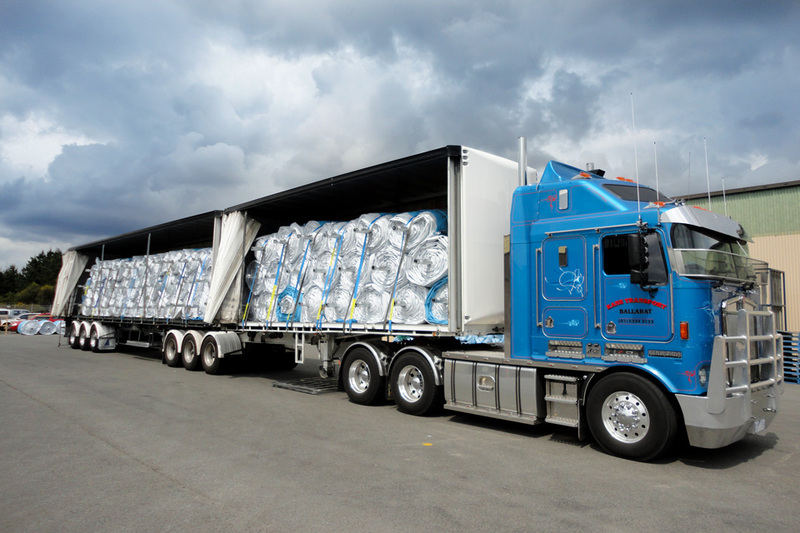 We offer a variety of different fabrics depending on your requirements. 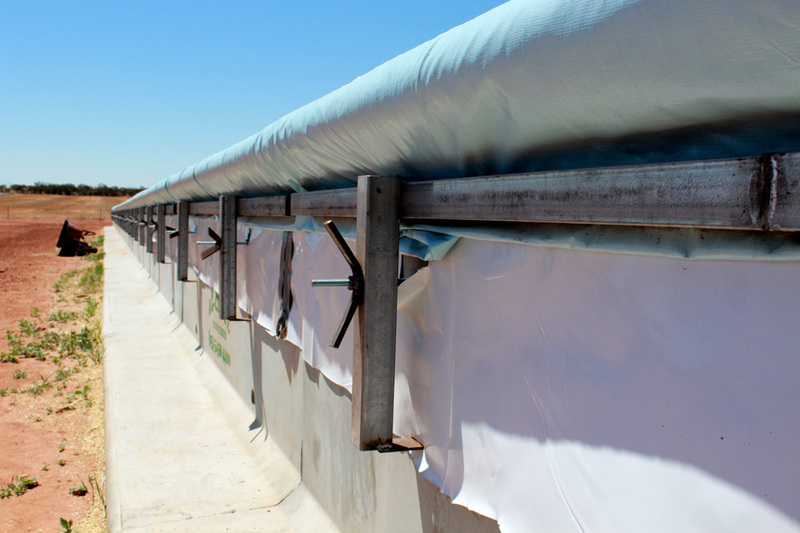 All our bunker cover fabrics have a 3 year UV warranty. Manufactured in our Ballarat factory on our ‘bunker cover table’ using specially designed machinery. 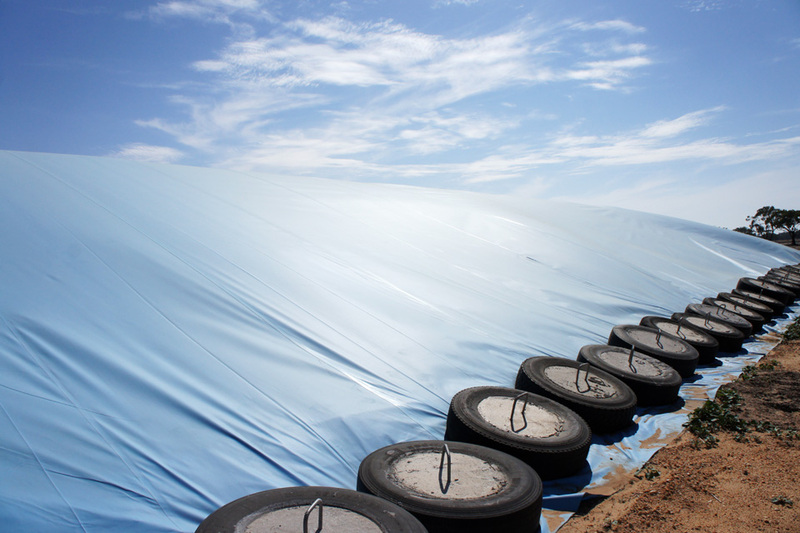 We can also provide woven polypropylene or black plastic film for Bunker flooring. 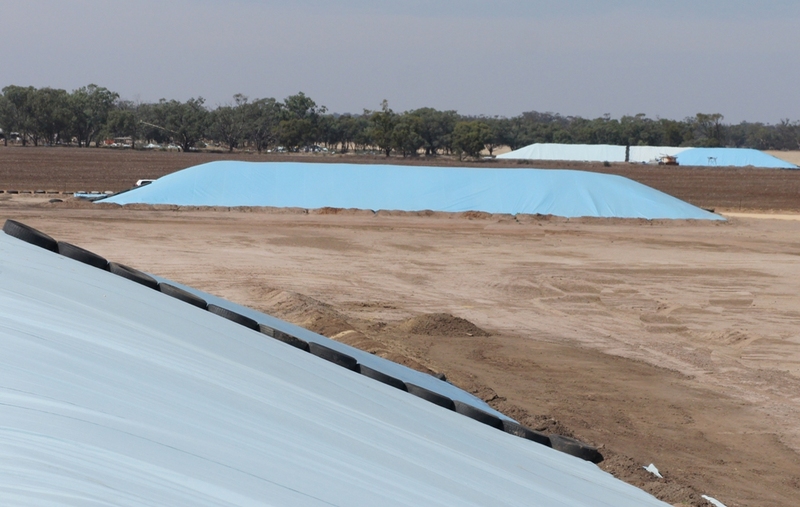 Who uses our Grain Bunker Covers? 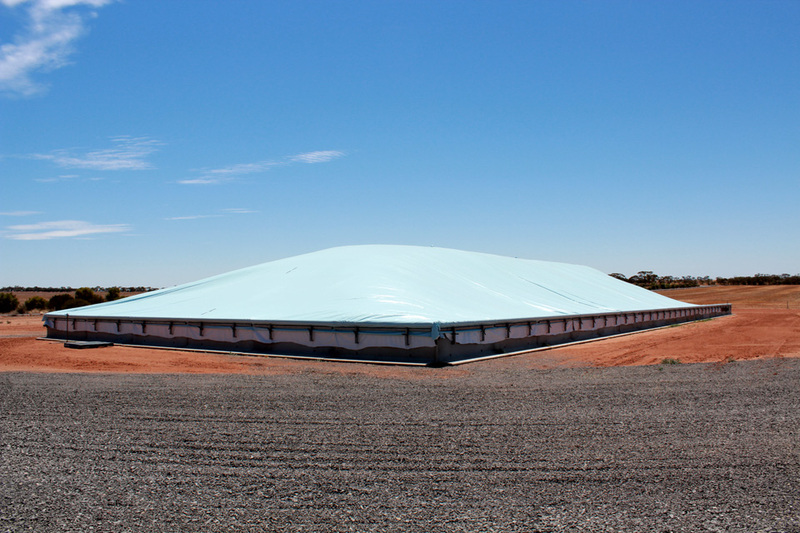 Our grain covers are used right across Australia by independent farmers through to large commodity storage handlers in the agricultural industry who require temporary but extremely effective storage solutions for their grain.